These are my last two reads before this weekend’s readathon at Hooked on Books. 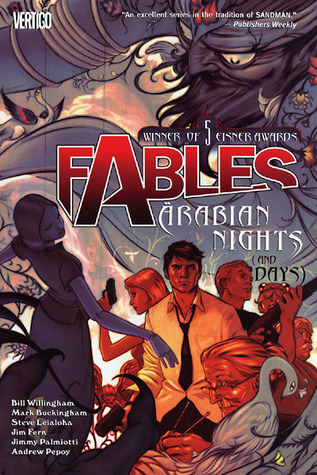 Fables Vol. 7 is a continuation in the series I have been reading, based on classic tales. This volume focuses on the Arabian Nights tales and features an evil Genie and a nefarious counselor to the Prince. It includes a tale based on the tin soldier featuring Geppetto. There is also a visit to the Farm to see what happens to Boy Blue and glimpse at how the other characters are getting on, including Snow and her “pups”. I like that even though there are many different characters introduced, the older characters are still important and you have the sense that the stories will intertwine at some point. I would definitely recommend this series. 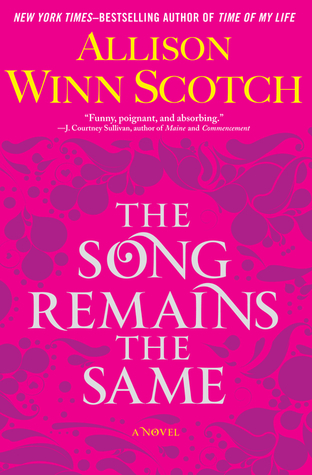 The Song Remains The Same by Allison Winn Scotch is a women’s fiction novel. The premise is that a woman survives a plane crash with only one other passenger, however she wakes up in the hospital with no memory. The story unfolds as she tries to remember her life and reinvent herself at the same time. She encounters obstacles and blockades in the form of half truths and deliberate deceptions from the people she is supposed to be able to trust and rely on. She has to learn to trust her instincts to discover the truth. This was a well written and engaging story. I felt Nell’s frustration and impotent anger at her situation. I couldn’t stand her mother’s half truths and evasiveness. I found her husband’s character just a stereotypical figure, he was probably the shallowest drawn of all the main charcters, but that was okay because quite frankly he just wasn’t that important. I would recommend this to reader’s of women’s fiction.